Lots of companies — and even the White House — use a conference calling system that could possibly be tapped by hackers, according to new research. On Thursday, cybersecurity experts at SEC Consult revealed a secret doorway that’s built into a popular conference calling product built by a company called AMX. 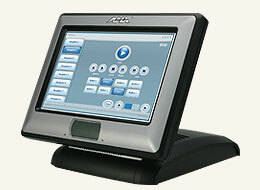 AMX makes tablet panels used to control conference calls for businesses, government agencies and universities.